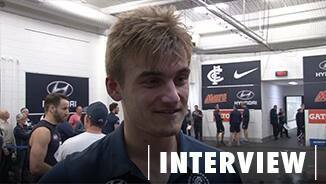 Carlton forward Matthew Watson says he felt he was ready for a big haul after playing some solid football in the VFL. A six-goal haul from Matthew Watson has played a major role in the Northern Blues returning to the winners list. Head of Football Andrew McKay updates us on the pre-season form of all players on the list, starting with the first ten by guernsey number. Despite playing just three games in 2014, Matthew Watson’s finish to the season suggested bigger things were set to come in a new role for the first-round selection in the 2010 National Draft. Used primarily as a defender in his three seasons with the Blues, Watson switched to the forward line in the final match of the 2014 season, booting four goals in the draw with Essendon. Boasting a strong mark and raking left foot, Watson could be a wildcard in Carlton’s attacking weaponry in 2015. 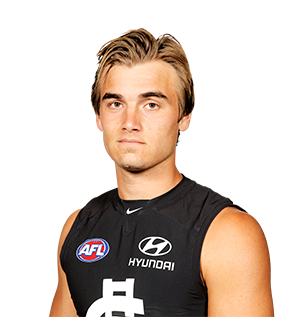 Draft history: 2010 NAB AFL Draft 1st round selection (Carlton) No. 18 overall.